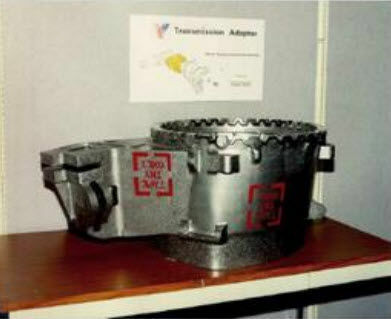 QuesTek applied its Materials by Design methodology to computationally design and develop three castable titanium alloys under U.S. Army-funded SBIR Phase I and II programs to incorporate lower-cost raw materials and exhibit greater strength and/or ductility than Ti-6-4. 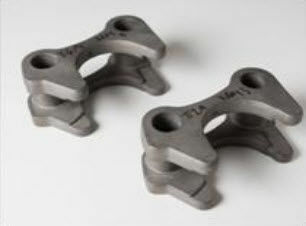 The alloys have demonstrated improved strength and toughness over traditional Ti-6-4 when processed via additive manufacturing routes, specifically Electron Beam AM at Sciaky. Please contact us if interested in evaluating out Ti alloys for additive. Formal results will be published at AeroMat 2016.
being able to use significant amounts of Ti-6-4 scrap as input stock. replace Ti-6242 in high-temperature applications to reduce costs.